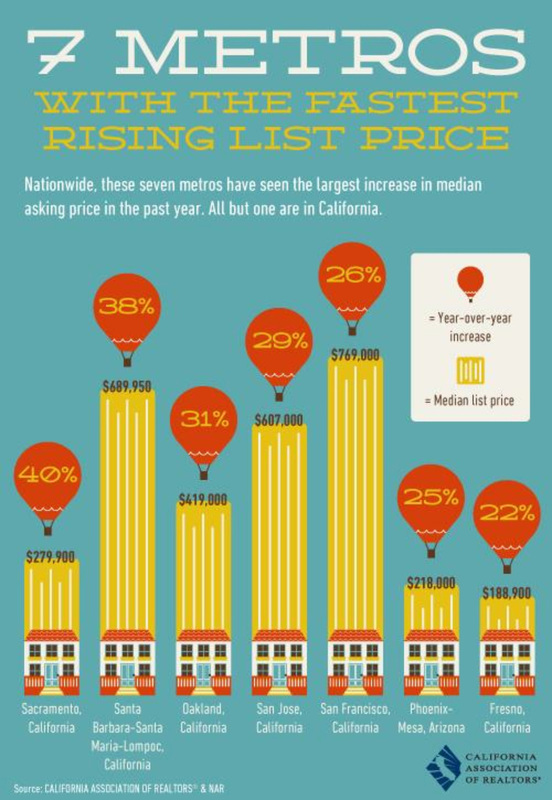 Santa Barbara Home's One of the Fastest Rising List Prices in California! The California Association of Realtors has released the top seven metropolitan areas with the fastest rising list prices, and Santa Barbara is #2! With a 38% year-over-year increase, Santa Barbara comes in just behind Sacramento. According to the CAR, the median list price of homes in the Santa Barbara area is just under $700,000. According to leading real estate professionals, nearly every neighborhood in Santa Barbara has seen an increase in list prices since the beginning of the year. Many listings are receiving multiple offers and offers coming in at full price. This active summer selling season is motivating home owners to put their homes on the market, and commanding top dollar. Although the first quarter of 2013 was quiet in the luxury real estate market, the market has picked up significantly with multiple new properties coming on the market every week. Riskin Associates is excited by the active market and is reveling in this busy time!